theScore Fantasy Sports is a Facebook Messenger game for drafting imaginary sports teams and competing with friends. You are given $300,000 to create a five-man team of real athletes. Available sports leagues include the NFL, NBA, NHL, and EPL. The price range of each athlete depends on their performance from previous games. Athletes with good rankings are more expensive and vice versa. It may take days or hours for the actual competition to start. But once it ends, a chatbot will inform you how your lineup fared. 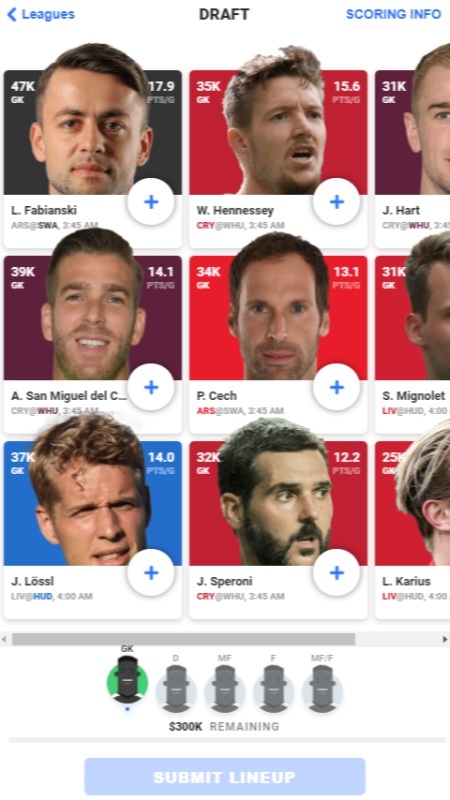 Just like any type of FB messenger games, Fantasy Sports is also made from HTML5 to allow cross-platform gaming on your tablet, smartphone, PC, or Laptop. Start drafting your team here.